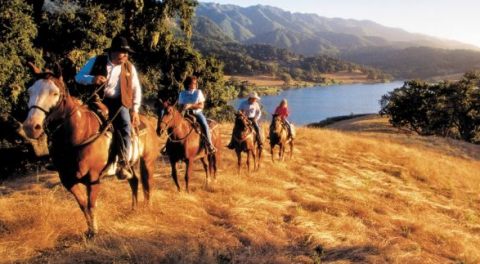 Why Plan a Group Tour in Solvang? Solvang offers year-round temperate weather in a charming pedestrian-friendly village. Tour groups are welcome for a day or, ideally, overnight visits that allows ample time for sampling authentic Danish pastries and cuisine, taking in a performance under summer stars at the Solvang Festival Theater and shopping at the more than 150 one-of-a-kind boutiques. Numerous hotels and restaurants cater to groups and the theatre festival offers discounted group rates. Solvang also boasts more than a dozen wine tasting rooms—the Academy Award-winning movie “Sideways” was filmed here and featured area wines; many nearby wineries offer tours and tastings especially for groups. Solvang was named by Orbitz Travel as one of Top 5 “USA Destinations with International Flair.” Velkommen til Solvang! Approximately six blocks by four blocks in size, Solvang is truly pedestrian-friendly with wide sidewalks and benches for restful viewing of the colorful village scene. Consider spending an hour or so seeking out the four windmills in the village and other landmarks along the way. It’s an easy stroll and encompasses most of the town, passing by unique shops, bakeries, restaurants and wine tasting rooms. Begin on the corner of Mission Drive (Highway 246) and Alisal Road at the 1/3-sized replica of the famed “Little Mermaid” sculpture (see “Andersen Celebrated” for more information). Turn south on Alisal Road and walk two blocks to the first windmill. Located above The Windmill Loft, the blades of this windmill cheerfully spin when there is a breeze. Behind the windmill is a small plaza, one of many hidden throughout town, and a 1/3-sized replica of the famous Rundetaarn (Round Tower). The original literally towers over Copenhagen, Denmark, built by King Christian IV in the 17th century. A plaque describes the rebus (word puzzle) that appears on the tower. Continue south on Alisal Road and turn right (west) on Molle Way, which is called “The Alley” by locals. On the right at the next corner is King Christian Tower, another replica of a famous Copenhagen landmark. Four dragons entwine, representing the unity of the four Scandinavian countries. Turn right (north) on First Street for one block and turn left (west) on Copenhagen Drive for one block. Another windmill comes into view on the south side of the street at the corner of Second Street and Copenhagen. The Blue Windmill in Hamlet Square is now the site of the popular Heidelberg Inn, which offers outside dining on a patio beneath the windmill. Further south on Second Street is the Solvang Festival Theater built in 1974; this lovely 700-seat outdoor theatre is partially visible from the street. It is the summer home of PCPA (Pacific Conservatory Theater) professional company. Continue on Second Street, then turn left (west) on Elverhoy Way to discover the delightful Elverhøj Museum of History and Art, located in a beautifully restored Danish-style home (see “Step Back in Time” for more detail). Retrace your steps and stroll west on Copenhagen Drive, passing shops and eateries. Look for the large red wooden clog – a Solvang landmark outside the Solvang Shoe Store (1663 Copenhagen Drive). Parents have been photographing their children in the clog for 40 years! Turn right (north) on Atterdag Road and one short block brings you to Mission Drive; cross and turn left (west). The next block brings a dramatic, lovely windmill, which actually forms a room in this building, home to the Solvang Brewing Company (1547 Mission Drive). The final windmill on this walking tour is a bit off the beaten track. Proceed west on Mission Drive, continue across Fifth Street for a few hundred yards and be rewarded with a view of the fourth windmill in town. Ready for a respite? Take a minute and rest on the Sladerbænken or “Gossip Bench” in front of the Solvang Inn & Cottages (1518 Mission Drive). Danish ladies love to chat on similar benches across Denmark. Don’t miss the Hans Christian Andersen statue in Solvang Park before experiencing more charming shops and returning to your starting point at the corner of Alisal and Mission Drive. Specialty shops abound throughout the village, where you’ll find hand-made quilts, chocolate, ironworks, toys, porcelain figures, antiques, clothing, clocks, wooden shoes, books, collectibles and much more. Here are just a few of the specialty shops in the village; there are many more awaiting discovery. • Solvang Needlework (1578 Mission Drive) features imported and domestic embroideries, fabrics, rugs and supplies. • Jule Hus (1580 Mission Drive) or “Christmas House” is an incredible emporium sharing the magic of the holidays every day of the year since 1967. • Picket Fences (1588 Mission Drive) offers cottage-style gifts, topiaries, and more. • The Book Loft (1680 Mission Drive) has been a Solvang tradition and favorite of book lovers for 40 years with one of the largest collections of Scandinavian literature in the USA. Upstairs is the Hans Christian Andersen Museum (see “Andersen Celebrated”). • Clock Shop Jewelers (467 Alisal Road) has been a leader in clocks from all over the world since 1969 – and is now operated by the third generation of the Hanson family. • Johnson’s Jewel Box (436 Alisal Road) not only creates original jewelry but offer estate items for sale. • European Imports (433 Alisal Road) European apparel and costumes. • Home Connection (425 Alisal Road, Suite D) features hand-carved “Simply Amish” wooden furniture, area rugs, imported china, and other gift items, including specialty toys and picnic totes. • Rasmussen’s (1697 Copenhagen Drive) is a Solvang landmark and premier source of imported gifts from Europe and Scandinavia. • Nathalie’s Doll House -located inside Rasmussen's feels like an Old World toyshop and has enjoyable collectables, dolls and toys for boys and girls of all ages. • Bamboo Shop (1683 Copenhagen Drive) specialty bamboo items. • Ingeborg’s Danish Chocolates (1679 Copenhagen Drive) are celebrating their 50th anniversary in 2011. • Gerda’s Iron Art Gift Shop (1676 Copenhagen Drive) showcases handcrafted wrought iron, brass, and copper, plus lace, collectibles and more. • Solvang Shoe Store (1663 Copenhagen Drive) specializes in name-brand shoes and traditional clogs; the giant clog out front has been the site of many a photograph for forty years! • First Street Leather (1634 Copenhagen Drive) since 1972, has been the area’s finest leather goods emporium including clothing, accessories, shoes, boots and hats. • The Solvang Antique Center (486 First Street) houses dozens of exceptional dealers from around the world. • Pavlov Art Gallery (1608-C Copenhagen Drive) offers the acrylic, mixed media, watercolor and ink stylings of artist Chris Pavlov and associates. • Solvang Graphic Arts Gallery & Frame Shop (1693 Mission Drive) offers a wide variety of art. • Thomas Kinkade Gallery (1576 Mission Drive) – One of the most collected living artists in the world is showcased here – he’s also painted several Solvang scenes. • Z Folio Gallery (1685 Copenhagen) presents passionate perfection in art, glass and jewelry design. • Danish Mill Bakery (1682 Copenhagen Dr) is located in the middle of lively Copenhagen Drive. It also serves lunch; has a coffee shop and is a popular gathering place for locals and visitors alike. • Mortensen’s (1588 Mission Drive) features authentic Danish pastry baked on the premises. Look for a full range of flaky pastries, butter cookies, bread, layer cakes and specialty tarts, which can be enjoyed on site or taken home to delight family and friends. • Olsen’s Danish Village Bakery and Coffee Shop (1529 Mission Drive) specializes in traditional Kranskage, which are almond horn-shaped cookies, and freshly baked breads. Sunset Magazine named Olsen’s one of the Best Bakeries in the West. Open in Solvang since 1970 and in Denmark since 1890. • The tempting Solvang Bakery (460 Alisal Road) offers everything from strudels and Danish, to bear claws, brownies, and is famous for holiday gingerbread houses shipped worldwide. A Gift and Home Store is located at the bakery’s entrance. • Solvang Restaurant (1672 Copenhagen Drive) has a unique walk-up window offering round pancake-like Aebleskiver pastries served hot with raspberry jam and a dusting of powdered sugar. Besides the acclaimed Danish baked treats, dessert offerings include numerous ice creameries in town: locally made Ice Cream & Yogurt Parlor (1588 Mission); Ingeborg’s Danish Chocolates, which offers handmade chocolates and an old-fashioned ice cream parlor (1679 Copenhagen); or the delicious Rocky Mountain Chocolate Factory (1655 Copenhagen); Old Danish Food Farm (441 Alisal) offers fresh fudge, candy apples and several more. There are also varieties of international dining options throughout the village. • The Touch (1635 Mission Drive) is a Chinese restaurant with full bar and outdoor patio. Don’t miss a visit to the lovely Old Mission Santa Inés (1760 Mission Drive) with its restored bell tower and sanctuary. Established in 1804 as the 19th California mission, it was famed as a center for the education of the local Chumash Indian population. (The Chumash are still a vital presence in the region – their reservation and casino are located a few miles down Mission Drive in Santa Ynez.) The Old Mission is still an active parish; the schedule of masses is posted in front of the chapel. A half-hour audio tour illustrates the interpretative displays of Chumash and Mission-era artifacts. There is a minimal charge to tour the mission, but you can stroll the peaceful gardens, lovingly tended for over two centuries, for free. The Elverhøj Museum of History and Art (1624 Elverhoy Way), located in the former home of an artistic Danish family, was once the gathering place for local artists and writers. The building incorporates elements of Scandinavian architecture and showcases ornamental wrought ironwork, hand painted panels, a carved wooden front door and much more. Period rooms show the life of early Danish immigrants and display many of Denmark’s traditional folk arts such as paper cutting, weaving, stitchery and lace making. Docents in authentic costumes are often on hand to demonstrate these hand crafts and provide personal tours of the museum and its Art Gallery. In the back house is a diorama of Solvang in the 1920s. The gift store offers unique handcrafted gifts. A donation is requested. Open Wednesday-Sunday from 1:00-4:00 pm. Bethania Lutheran Church (603 Atterdag) is one of the finest examples of Danish architecture in Solvang and is open to the public. Services have been held here – originally only in Danish – since the church was completed in 1927. There is a finely carved wooden pulpit, altar and baptismal font, plus a Phelps pipe organ and lovely stained glass windows. However, the most fascinating feature is the ship hanging in the nave, a symbol of safe haven across the waters of life. Wine Tasting and “Sideways” in Solvang! 6200 Foxen Canyon Rd., Los Olivos, CA 93441, (805) 688-1545, (800) 841-1104, www.fessparker.com. Fess Parker, who played both Davy Crockett and Daniel Boone on TV and in movies, firmly established himself as one of the region’s top winemakers prior to his passing at age 85 in March 2010. His family-made Syrah, Pinot Noir, Chardonnay, and Viognier varietals earn high marks from wine critics. Reservations required for large groups. Picnic area. Open weekdays 11 am-5 pm; weekends from 10 am-5 p.m. From Solvang: Take Mission Drive (Highway 246) west to the 101 Freeway north to Highway 154 off-ramp, right turn and then immediate left on Zaca Station Rd. (becomes Foxen Canyon), five miles to winery entrance. 5000 Zaca Station Road, Los Olivos, CA 93441, (805) 688-3940. www.firestonewine.com. Established in 1972 as Santa Barbara County’s first estate winery (meaning they produce wine from their own grapes). They specialize in handcrafted Chardonnay, Merlot and other premium varietals. Hours 10-5pm daily with guided tours (daily at 11:15 a.m., 1:15 p.m., and 3:15 p.m.) explore all aspects of the winemaking process. There’s also a picnic area and 1.2 mile hiking trail. From Solvang: Take Mission Drive (Highway 246) west to the 101 Freeway north to Highway 154 off-ramp, right turn and then immediate left on Zaca Station Rd and proceed two miles. 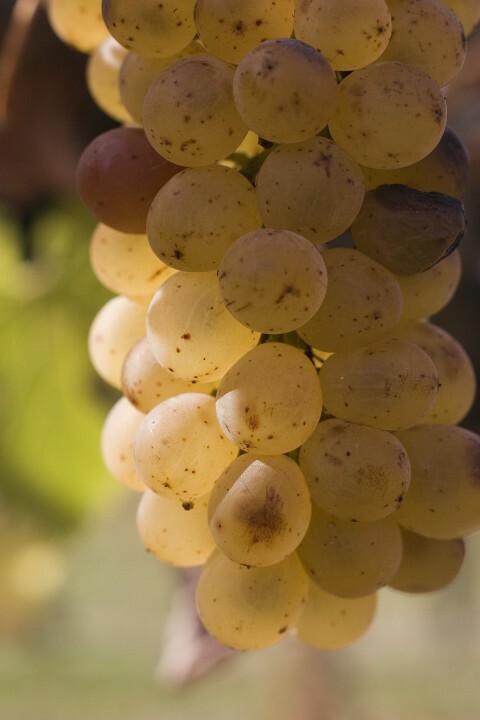 For almost 20 years, the Gainey family has produced premium, handcrafted wines including Chardonnay, Sauvignon Blanc, Riesling, Merlot, Cabernet Franc and Pinot Noir. The beautiful 12,000 square foot Spanish-style winery welcomes visitors daily and their winery tours present an unusually close look at the winemaking process (daily 11 a.m., 1 p.m., 2 p.m., and 3 p.m.) Reservations are required for groups of 10 or more. Open daily from 10 a.m. to 5 p.m. From Solvang, Take Mission Drive (Highway 246) east towards Highway 154. Since 1936 on the third weekend of September, the “Danish Capital of America” celebrates its annual Danish Days--sponsored by the non-profit Danish Days Foundation to honor the establishment of Solvang by Danish-American educators in 1911; and continue preserving the village’s Danish heritage. Danish and USA flags line the streets, residents don colorful costumes, and there is plentiful folk dancing and entertainment—such as the Ravens of Odin, a professional Viking re-enactment group; Hans Christian Andersen story-telling sessions as well as three parades (Friday candlelight; Saturday afternoon traditional and Sunday afternoon children’s). 150+ shopping options include boutiques, galleries and antique centers offer specials. Authentic restaurants and bakeries feature tasty cuisine, including aebleskiver (pastry ball) and medisterp?lse (Danish sausage). Aebleskiver breakfasts and eating contests round out a weekend of festivities for all ages. Village streets are decked with thousands of twinkle lights and more than 150 boutiques and specialty shops host open houses and special celebrations throughout the season. On the first Friday evening, the tree-lighting ceremony starts at 4pm with dance performances and musical entertainment in Solvang Park. Julefest Parade is the next day, Saturday, at 11am; and carolers and musicians appear on street corners throughout the month. Danish Christmas art demonstrations are held at the Elverhoj Museum. Horse-drawn carriage rides add to the festivities. On the corner of Mission and Alisal Road in Denmarket Square is a half-sized replica of the famed “Little Mermaid” sculpture, based on a fairytale by Hans Christian Andersen; the original is in Copenhagen Harbor. You can visit a statue of the writer himself one block west on Mission Drive in Solvang Park (where public restrooms are available) or immerse yourself at the Hans Christian Andersen Museum (1680 Mission Drive, upstairs from The Book Loft) where the beloved storyteller’s life is illustrated with hundreds of first editions, personal memorabilia, sketchbooks, and photos. More than a dozen area hotels, inns and resorts cater to groups, meetings and independent leisure travelers. Many offer wine, golf, theater and dining packages. 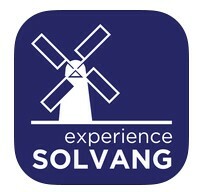 For complete information and RFP assistance, contact the Solvang Conference &Visitors Bureau www.SolvangUSA.com or toll-free 1-800-468-6765. The charming Hønen is a replica of a circa 1915 streetcar trolley drawn by two Belgian draft horses, giving fun-filled twenty-minute tours of the village. Stop into Solvang Visitor Center (1639 Copenhagen) to check out current schedules, routes, times and fees or contact the Visitors Bureau for more details.